Our latest… DIY toppers. 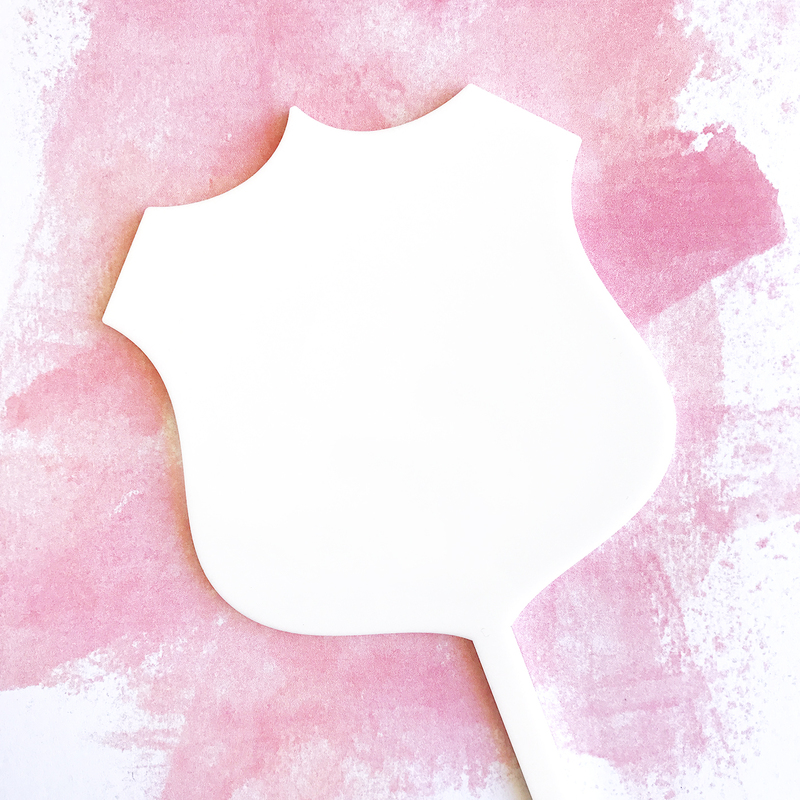 Our Badge DIY Cake Topper is super fast, super easy! A little edible cake decorators glue and your favourite fondant to transform an acrylic topper into whatever you fancy. The acrylic provides instant support – no hours needed for your fondant to dry. Match the colour perfectly to your cake. Best of all, when the celebrations are finished peel off the fondant, then hand wash your acrylic topper in warm soapy water to reuse again, over and over! Our cake toppers are precision cut from sturdy materials but the design may mean that it is fragile. We recommend you always insert your topper into the cake by holding the spike. If your fondant covered cake has hardened somewhat then consider piercing the surface first before inserting the spike. Wipe the spike clean before and after use. Our toppers make lovely keepsakes and can be used over and over for many years.